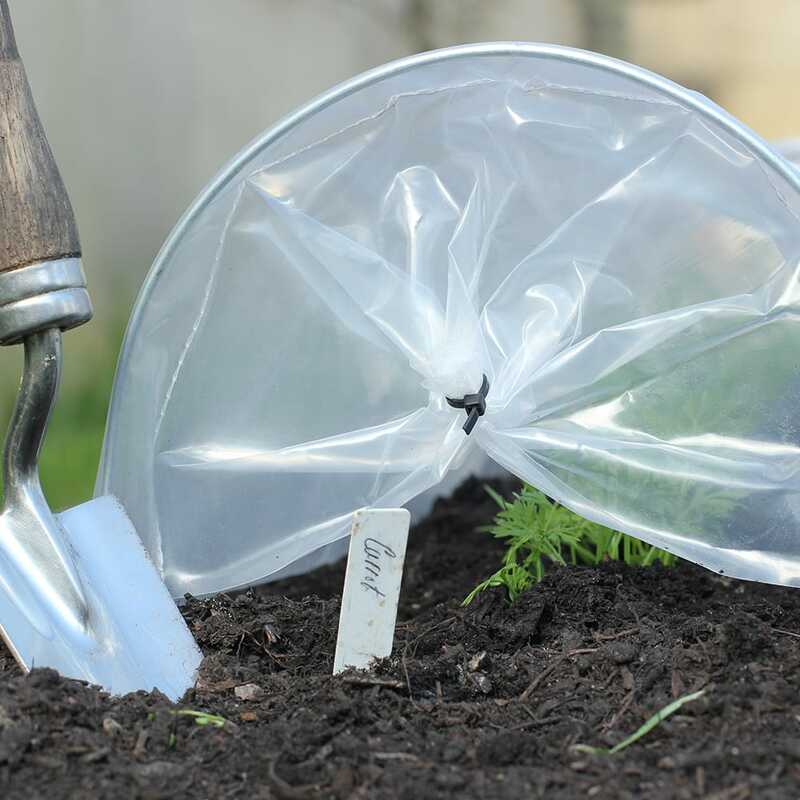 Provides cosy moist microclimate for germination and rapid seedling growth - locks in moisture, protects from harsh weather and pests and warms the soil ready for sowing. Made from tough U.V. stabilised polythene and galvanised steel hoops. 3 pack. 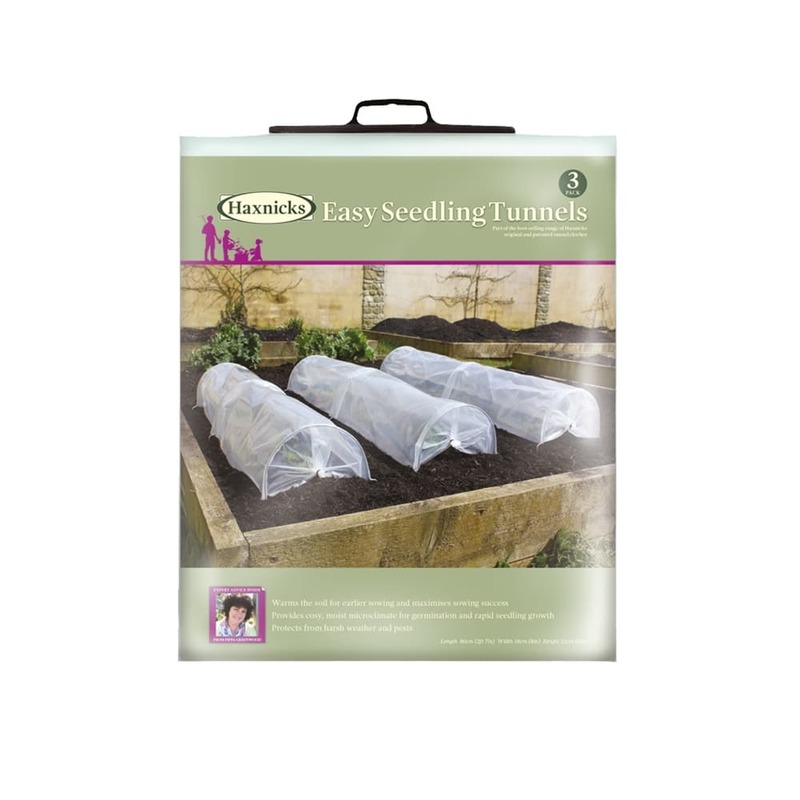 All the benefits of our larger Easy Tunnels, but in miniature! 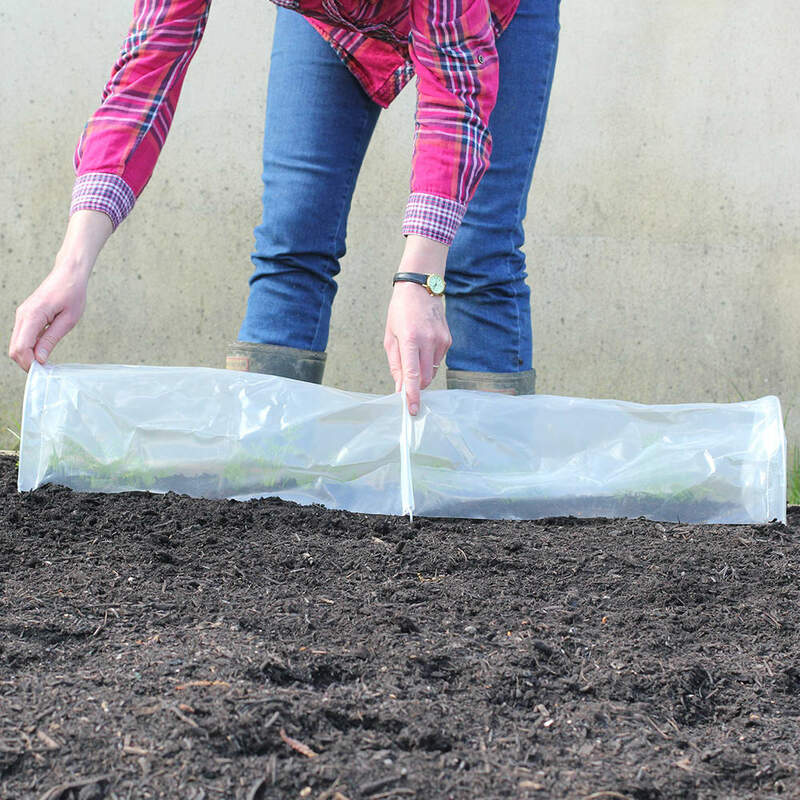 The Easy Seedling Tunnel makes for an inexpensive way to maximise sowing success. Seeds are far more likely to germinate and grow healthily in a warm, moist environment protected from birds, and other pests. 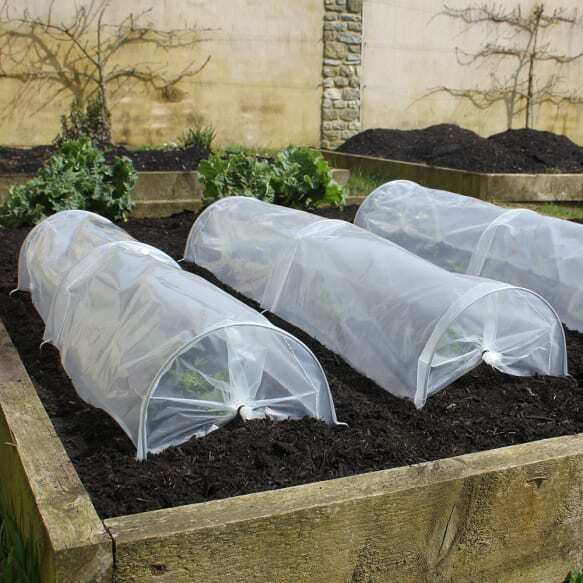 For those without a greenhouse or spare windowsill the soil can be warmed enabling earlier sowing. No pegs are required . As with all Haxnicks tunnels the steel hoops are designed to peg into the ground to keep the tunnel firmly in place. After use the tunnels fold up neatly and can be reused again and again.